Joe Teixeira knew Nichols College provided a good opportunity for baseball - and learning. He just had to get the word out, he told The Worcester Telegram in 2009. "I don't think a lot of local kids have any idea about the value of a Nichols education," the Nichols head coach told The Telegram. "Nichols is a real hidden gem." Teixeira coached in his third season at Nichols that year. He went on to coach seven seasons there before moving on to be an instructor. Before his coaching career, Teixeira served as a player himself. He got into two professional seasons. He never made AA. Teixeira's playing career began in 1989, signed by the Orioles as a free agent out of the University of New Hampshire. Teixeira played his first year at rookie Bluefield. The right-hander got into 19 games in relief, posting a 4.14 ERA. He also picked up two wins and two saves. He started 1990 at single-A Wausau, but his season ended up being short. 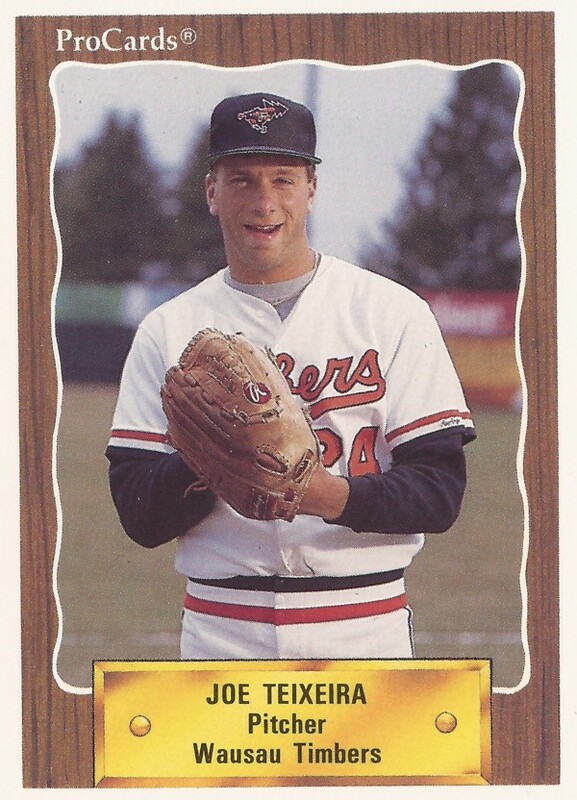 He played in only seven games for the Timbers, giving up 12 earned in 11.1 innings of work, ending his brief career. He's gone on to be a coach in the Worcester area. He served as an assistant coach at Assumption College from 2000 to 2004. He took over at Nichols for 2007 and stayed through 2013. In 2016, Teixeira is owner and instructor at Baseball Skills Academy in Shrewsbury, Mass.